Located just 3.5 kilometres from the Melbourne Central Business District (CBD), 8 Lygon is the ideal home for those looking to live right in the heart of the city. 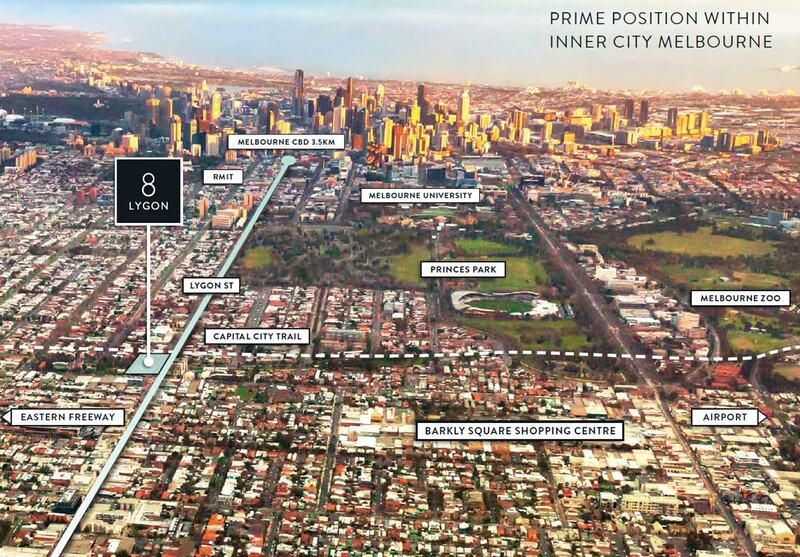 Considered a “Walker’s Paradise”, 8 Lygon ensures that residents can get a whole host of things at a walking distance. The project boasts of excellent infrastructure with plenty of parks and public spaces. The project also provides easy access to the tram stop making the commute a breeze. 8 Lygon offers beautifully designed 2-bedroom apartments that are an ideal home for families. With communal rooftop gardens and outdoor barbeque with gorgeous city views, 8 Lygon epitomises the beauty of community living. 8 Lygon is considered a ‘Walker’s Paradise’. It is given a walkscore of 90, that the area is friendly to the presence of people without use of a motor vehicle whilst doing everyday activities, running errands, shopping, dining and close to education & health facilities. 2.1% Vacancy rate for the suburb. In zone public primary school ranked 52 out of over 2200 public & private schools in Victoria. In zone public secondary college. Cafe precinct with excellent lifestyle amenity. Excellent surrounding public facilities, parks, sports grounds etc. Access to University of Melbourne & RMIT University Just 3.5 kilometres to Melbourne CBD Retail options like QV, Emporium or Queen Victoria Market Close to multiple dining and drinking options. Square Yards is a technology-enabled transaction and aggregator platform for global real estate. It is a global leader in real estate transactions with exclusive collaborations with top developers across the Globe. Square Yards offers 360-degree services spanning the entire property buying journey. 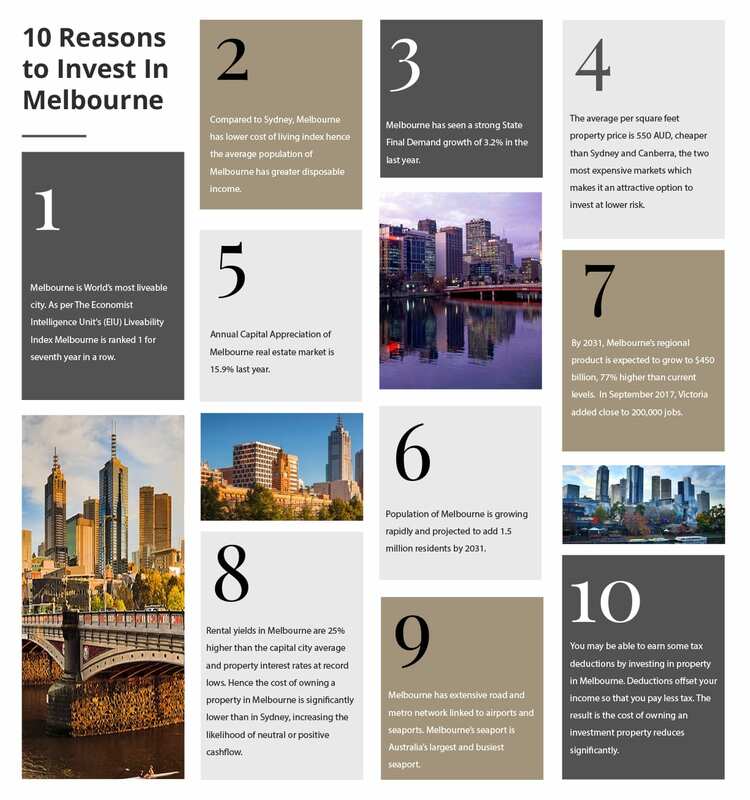 It has a direct presence in over 40 cities across 10 countries including UAE, Qatar, Oman, India, Singapore, Hong Kong, Australia and Canada.Square Yards is a leading real estate advisory in Australia with offices in Melbourne, Sydney, and Brisbane.